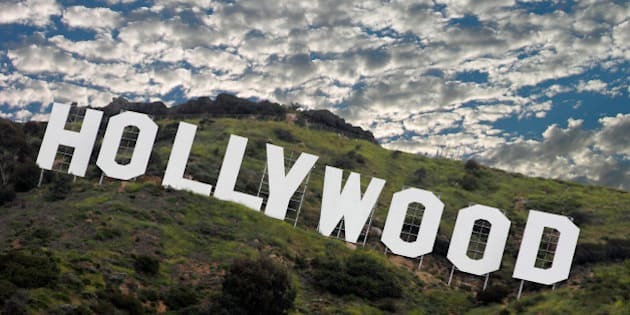 In the interest of saving lives from bad Hollywood medicine, and also with the goal of providing a little bit of entertainment, here are the top Hollywood medical malpractices that drive me crazy. Several nights ago, after a long evening working at the hospital, I ended up turning on my television and surfing through late night TV options, seeking entertainment to distract me toward sleep. As I flipped channels, the movie Pulp Fiction appeared on my screen, and I settled in to watch. I remember seeing this classic film during its initial release in 1994, long before I began medical school. At the time, I accepted as realistic the scene where Uma Thurman's character is revived from a heroin overdose by a needle of adrenalin injected through her chest wall, directly into her heart. Seeing this scene again now, but this time through the eyes of a veteran medical doctor, I couldn't help but laugh at its absurdity. All I could think were two thoughts: "who was the physician consultant on this movie -- I hope they never, ever treat real patients," followed by, "I hope nobody out there actually gets inspired by this shockingly dangerous example of medical care!" First, it is completely unnecessary. Medications administered by intravenous lines, or even injected into muscles, reach the heart within seconds, with near immediate effect. A good example of this is provided in the form of EpiPens, which inject adrenalin, usually into the large muscles of the thigh, to treat anaphylactic allergic reactions. These medications rapidly and effectively treat this life threatening condition, with absolutely no issues due to being administered far from the heart. Similarly, heroin overdoses, like that suffered by Thurman's Pulp Fiction character, are easily treated with the injection of a medication called Naloxone into any skin or muscle on the body. Second, the risk of attempting to pierce the heart with a long needle is extreme. If one's aim is poor, one can easily collapse a lung or damage vital blood vessels, leading to respiratory collapse or massive bleeding. Even if one's aim is true, puncturing through the wall of a heart can have dire consequences, such as tearing the heart's wall open or disrupting the heart's electrical system, both of which can lead to cardiac arrest and death. So, next time Uma, please just call 911! I can't even count the number of scenes I have witnessed in films and television where CPR is performed terribly by onscreen medical personnel. Either the technique is dreadfully wrong, characters give up after two or three chest compressions, or victims die while nearby doctors just observe, throwing in the towel without even initiating CPR! My award for the worst cardiac arrest scene of all time is won by James Cameron's 1989 film, The Abyss, which combines nearly every possible CPR error one could make. In this movie, a major character's resuscitation consists of random weak pushes on the chest with bent arms, sporadic rescue breaths to the mouth, and electrical shocks administered randomly while ignoring the water pooled all around the patient (electrocution anyone?). At one point in this scene, a whole minute goes by where not one chest compression is performed, and shortly after that, all the would-be rescuers give up on the patient, despite only several minutes attempted of this awful technique. Laughably, after the (unsurprising) failure of all of the above, the victim's heart is suddenly restarted by a slap to the face! In the real world, CPR is administered with straight arms, bending at the waist, delivering 2-3 inches of chest compression 100 times per minute, and is continuous until a heartbeat is reestablished. At the same time, two rescue breaths are given every 4-5 seconds, and we don't give up on patients until at least 15 minutes of good CPR have failed. Finally, a slap to the face of a cardiac arrest victim is never, ever recommended unless one is desperately seeking a lawsuit! A terrible offense in this category occurs in the opening plot moments of the TV series The Walking Dead. Rick, the main protagonist of the series, lies in a coma after being shot in the abdomen. He has yet to open his eyes or speak, yet the only sign of any life support are nasal oxygen prongs. In the setting of major life threatening trauma or coma, we always intubate (place a breathing tube down the throat of) a patient so that we can assist them to breathe should they not make enough respiratory effort, and to ensure that they do not choke due to the relaxation of their airway. Throughout TV and movies, Hollywood inexplicably depicts unconscious, intensive care unit patients with only nasal prongs, which do absolutely nothing to stop choking or help a weak patient to move air into their lungs. In the real world, poor Rick would have likely choked to death on his own tongue long before he ever got to fight zombies. Electrically shocking (defibrillating) a patient is a life saving intervention, but it is only effective against two cardiac rhythms -- ventricular fibrillation (hence the term defibrillation) and ventricular tachycardia, both of which look like deep hills and valleys on a heart monitor. A flat line on a heart monitor, known as asystole, does not respond to electrical shocks -- not ever. Yet Hollywood persists in depicting the fantasy of flatline hearts magically restarting in response to defibrillation. An egregious example of this, the 1990 Julia Roberts film, Flatliners, was actually completely based on this false premise. 5)	We must remove the bullet/shrapnel! With all due respect to the Iron Man series of films, shrapnel does not slowly gravitate to the heart. Similarly, bullets do not need to be emergently removed after a gunshot, despite what Robert De Niro had us believe in the movie Ronin. A misguided attempt to remove such foreign objects usually represents a far greater risk to a patient's life than leaving these substances in place. In fact, when we perform X-rays on war veterans, we often find their bodies riddled with metallic shrapnel that has lain harmlessly within them for years. So, Tony Stark, all that fancy electromagnetic wizardry in your chest was quite unnecessary, and Mr. De Niro, next time just do a little stitching. 6)	Thanks for restarting my heart -- now let's get back to saving the world! Having attended to hundreds of cardiac arrests in my career, I can tell you that restarting a heart is rare, and when we do succeed, patients usually spend many days in an Intensive Care Unit before they are able to speak again or get out of bed without assistance. I have never, ever seen a cardiac arrest victim walk out of hospital on the day they were resuscitated. In the movies, it's a different story, however. In Mission: Impossible III, Tom Cruise has his heart restarted through CPR (performed with a horrible chest punching technique), and immediately is upright and aiming his gun to protect against the next bad guy. In the first Jurassic Park movie, a child has CPR that is so successful that he is able to immediately finish his pre-cardiac arrest sentence -- following which he gets right back to running from dinosaurs. And in the film Casino Royale, James Bond, after receiving an electrical shock that restarts his heart, is miraculously well enough to proceed with a game of poker. If only my skills were so effective! So, to all you Hollywood producers out there, I suggest you hire new medical consultants quick -- the ones you have right now are making you look terrible, and even worse, potentially inspiring a whole generation in first aid techniques that are more likely to end lives than save them!